We have several cleanrooms certified at Class 10000. 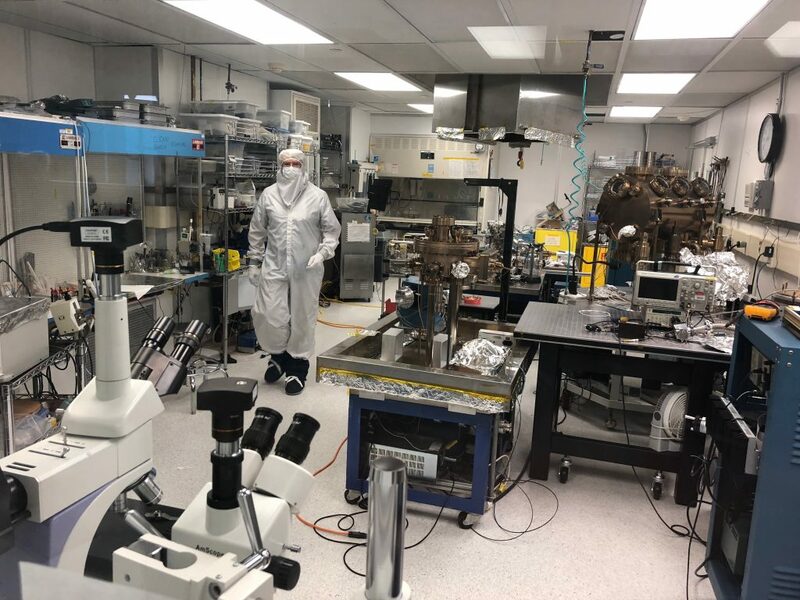 All of the surfaces are kept dust and microbe-free for fabricating sensitive space instruments, which are vulnerable to contamination. The cleanrooms contain vacuum chambers, flow benches, computers, testing equipment, and electronics equipment. 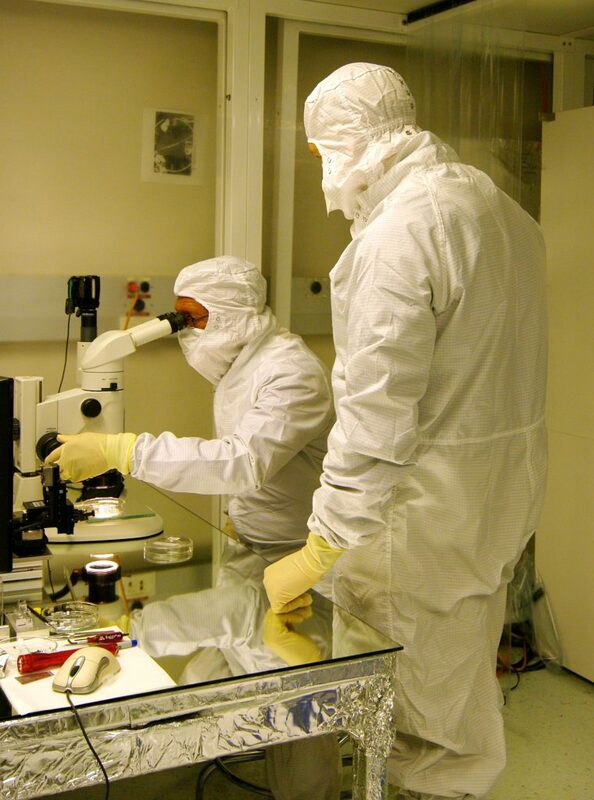 We vary protocols for the cleanrooms based on the requirements for a given project. For example, fabrication of instruments for the MAVEN Mars mission required stringent planetary protection measures.